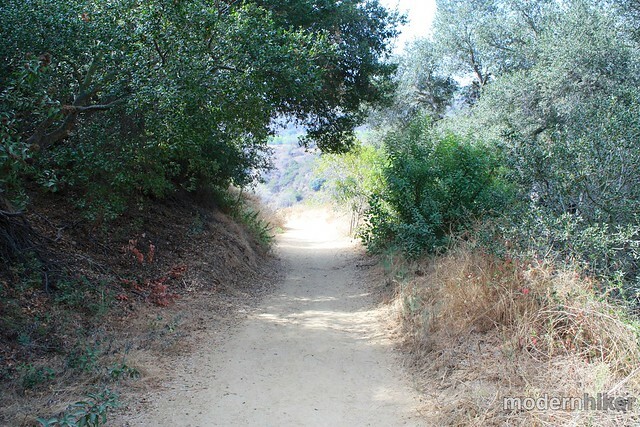 A short loop in the southern half of Franklin Canyon Park – a rugged, hidden little canyon just outside of Beverly Hills. 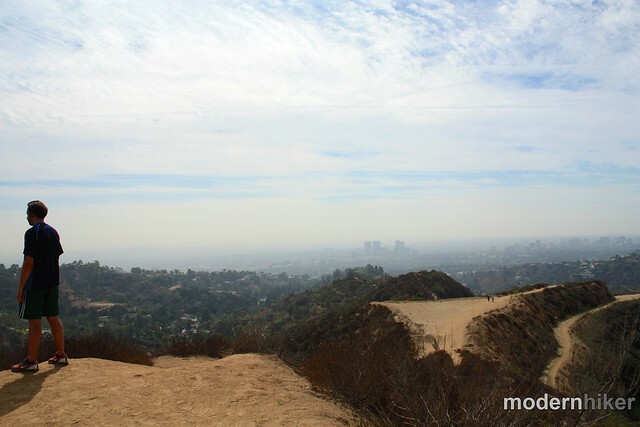 This is a decent workout with some really lovely canyon scenery and views of Beverly Hills and Century City – and not too crowded, either! 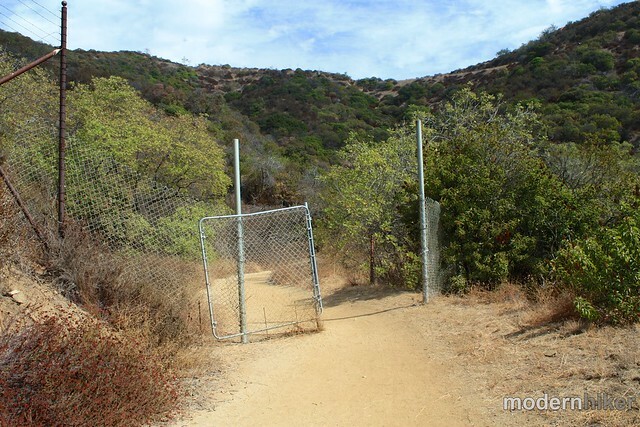 Note: Franklin Canyon Park is currently involved in an ongoing dispute with a private land developer on the eastern edge of the park, who has closed off access to hikers in the past. A series of decisions has alternately favored both sides, so check with the park or be prepared to potentially be unable to complete the route as described here. 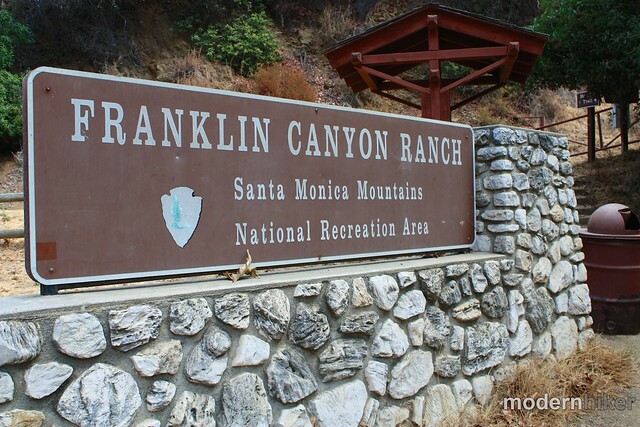 Franklin Canyon began its modern life as a reservoir area from water brought in from the Owens Valley and as a private getaway for oil barons. In 1981, the land was deeded to the National Park Service and is now part of the Santa Monica Mountains National Recreation Area. Initially, I wanted to do a full loop hike of the entire park, but unfortunately I found the map situation to be a little lacking. The map shown on the park’s official web site (PDF) is not terrifically detailed and also differs quite a bit from the map posted on an information sign near the Upper Reservoir and Google Maps of the area – not to mention the actual posted trail names on signs inside the park. So – I’m not entirely sure I did what can be considered the ‘classic’ Hastain Loop – but it was still a fun little trail. The trailhead is very easy to spot – it’s near a large Franklin Canyon Ranch sign, a staircase, information board, and trash can. There’s a small parking area near the trailhead but also plenty of room to park on the opposite side of the street if it’s full. Lace up your boots, grab your water bottle, and start up the fire road Hastain Trail (which may, depending on what map you’re looking at, ACTUALLY be the Discovery Trail). This is great coastal mountain landscape typical for the Santa Monica range – it’s nice and quiet and there are patches of shade, though it’s mostly unshaded. An added benefit (or drawback, depending on your point of view) is that you occasionally get glimpses of the palatial estates of Beverly Hills on the horizon while you’re hiking here. The first part of the trail is pretty easy – you only gain about 80 feet in the first quarter-mile. At that point, you get a small break, but from then on out it’s a steady 550 foot ascent over the next 1.15 miles. Nothing too crazy, but enough to make you feel like you’re getting a decent workout – especially if it’s hot outside. For some reason, there seem to be a lot of gates on this trail – I’m not sure if that’s a holdover from the park’s previous status as private land or a way to keep people out at night since it’s so close to civilization, but the fences look pretty new so I’m gonna go with the latter. Regardless, you’ll pass the first gate at about the 0.7 mile mark. In another 0.2 miles, the trail hits a ridge and makes a sharp left hand turn at a junction with a spur trail that heads down to the meadows near the southern reservoir. 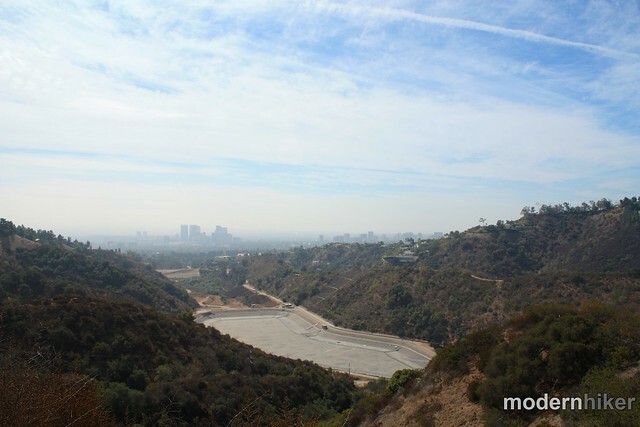 Ignore the spur trail and keep ascending on the main trail – making sure to look south toward views of Century City and Beverly Hills and being thankful that people had the foresight to preserve this canyon from further development so you could enjoy the moment. At about the mile mark, you’ll pass through another gate in a chain link fence and the trail turns northward, passing through a third gate (!) and by some cameras around the 1.2 mile marker. Here, I believe technically you are outside the boundaries of the Park, and the fire road hits a weird three-way junction. 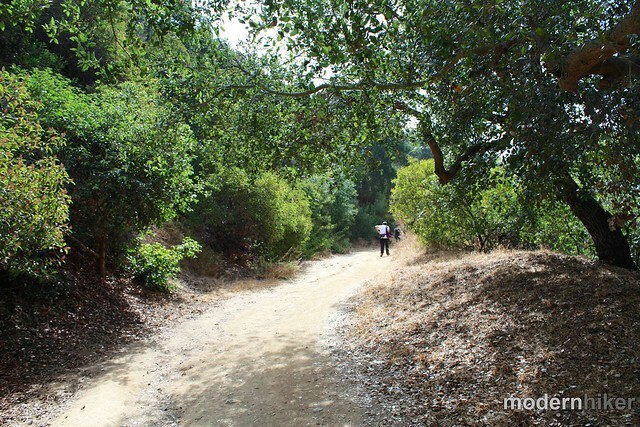 The easternmost spur is a fire road that will take you out of the park and onto nearby Coldwater Canyon Blvd. Taking the center spur will take you up a short incline to the tallest peak on the trail – which has some great views of the area. When you’re done soaking in the views, backtrack to the intersection and take the westernmost spur. 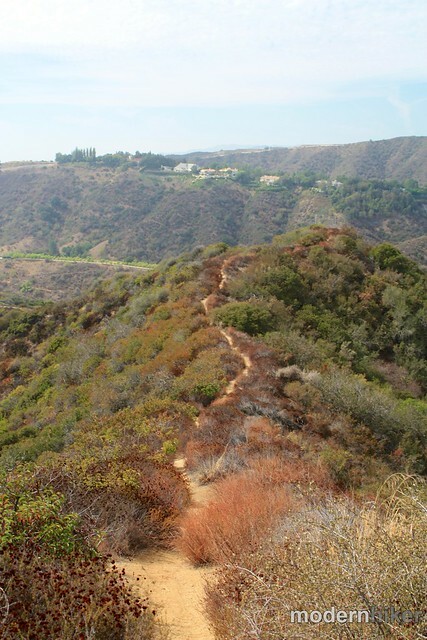 On maps, this fire road continues to Beverly Ridge Terrace, where it also looks like you can rejoin another trail to descend into Franklin Canyon. In reality, this fire road hits a big ol’ fence and dead ends, with a warning sign for hikers not to try crossing into the rich folks’ neighborhood. Instead, START to go down this road, but look for a short extension of the road that heads nearly due west and hike down that instead. Here, the fire road ends and a single-track / firebreak descent route begins. This route is a LOT more rugged than the path you took on the way up. It’s got a few steep sections but is definitely passable. However, if you’re not in the mood for this sort of adventurous end, you can just turn around and head back to the trailhead the way you came. Otherwise, the firebreak descent is about 0.4 miles and is pretty fun – especially if you’re looking for more of a “full-fledged” hiking experience. 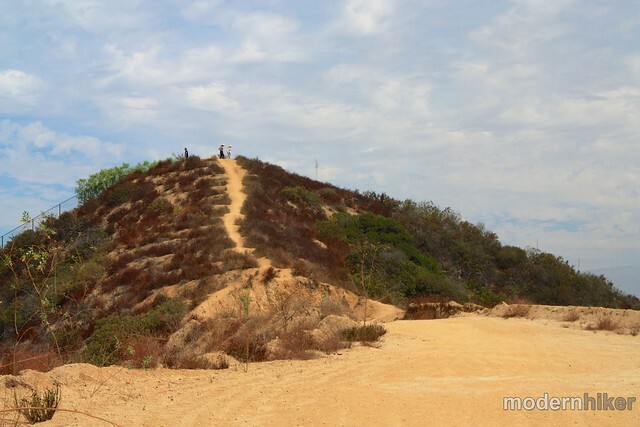 It’s most steep toward the very end of the trail – but everything is easily passable if you take your time. After that it’s just another 0.4 miles on the fire road back to the trailhead. The odd fences on this trail are leftovers from an ongoing legal battle between the park and a nearby developer. 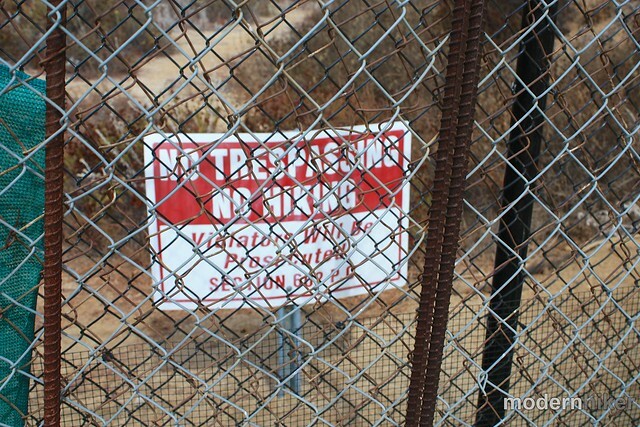 As of October 18, 2012, an LA Superior Court Judge has ordered the developer to remove the fences and guarantee hikers’ access to the trails. Mostly good - I think in my research before this hike and during the hike in the actual park, I came across no less than three different versions of trail maps - none of which had the same path for the Hastain Trail. The trail is marked at the main trailhead but no junctions are signed. From Sunset in Beverly Hills, head north on Beverly Drive. At the intersection near Coldwater Canyon Park and a fire station, keep left at the light to stay on Beverly. The street narrows in a residential neighborhood and in under 2 miles, take a right at the stop sign onto Franklin Canyon Drive. Enter the park and in 1.1 miles, veer right onto Lake Drive. Trailhead is 0.7 mile south, with a sign for the Hastain Trail. 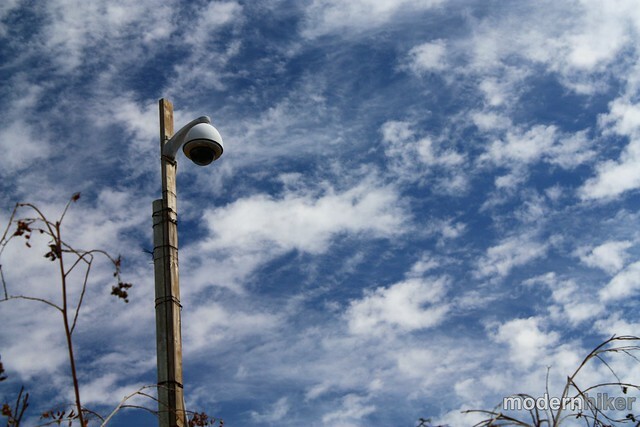 Beware of motion-sensor cameras at stop signs. Thank you so much for the detailed and perfect directions and descriptions. I ran the trail this morning and it was great! 45 minutes to complete with a few stops to take in the view. Thanks! Kristin - I was JUST reading that post when you commented :). Thanks for the info! 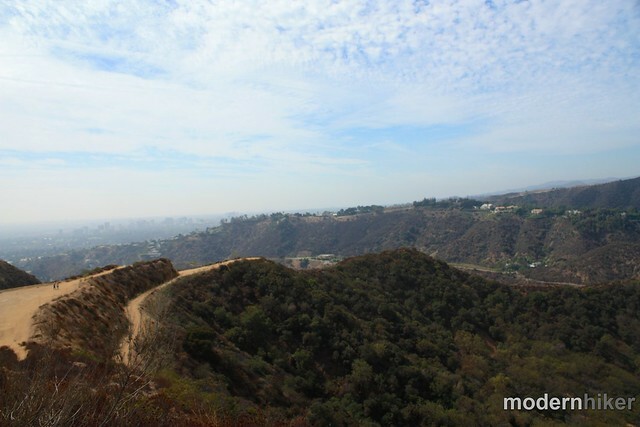 Franklin Canyon's Hastain Trail will stay hikeable (killer views of the basin at the summit)--a judge has ruled that developer Mohamed Hadid must not interfere with its "public recreational use." 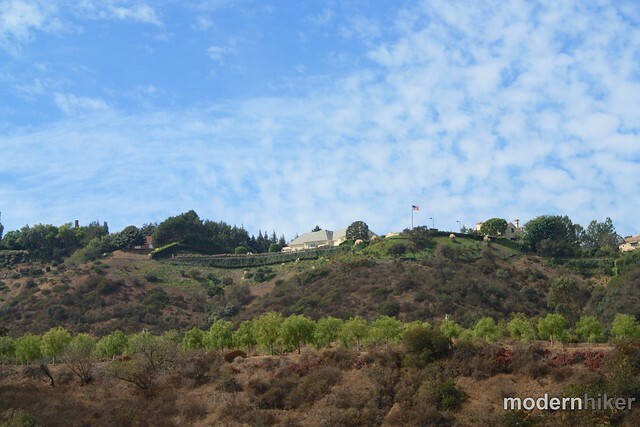 This all stems from the Save Franklin Canyon case: Hadid and his company bought about 45 acres in the early aughts with the intent to build a few mansions (the land is a bit west of Coldwater Canyon and close to the gated and crazy over-the-top Beverly Park neighborhood). Neighbors were not so psyched. 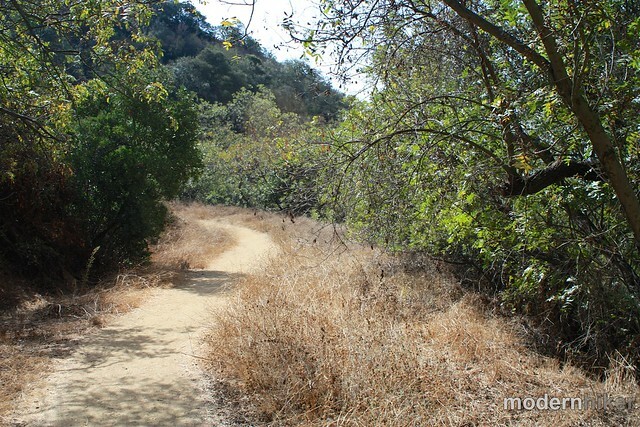 Most of Hastain Trail's one and a half miles is on public land, but about a third runs through Hadid's property, according to Beverly Hills Patch--several hikers brought a lawsuit arguing that the whole thing should be considered a public easement. They won out and now a preliminary judgment says that Hadid has to keep the trail open to the public and to "remove all fencing and equipment from the trail." Hadid's lawyers say the hikers just want to stop the mansion development. Hadid is known for his bananas gilded megamansions, but it's not clear what his plans for Franklin Canyon are or were.